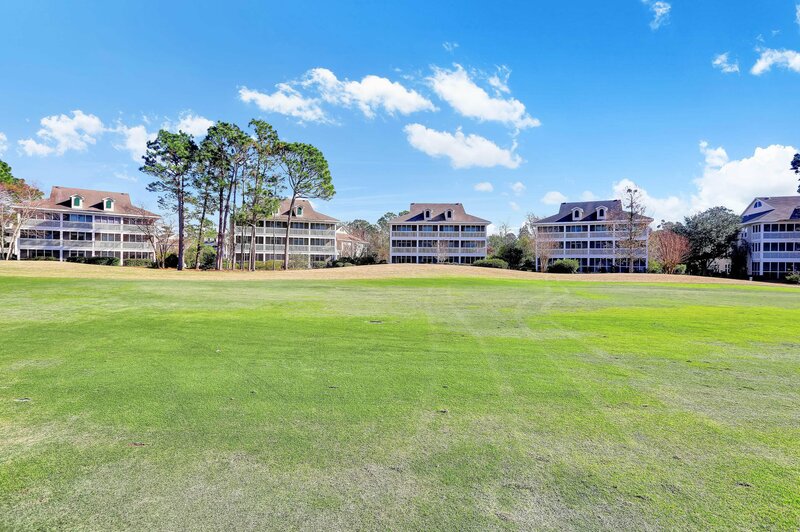 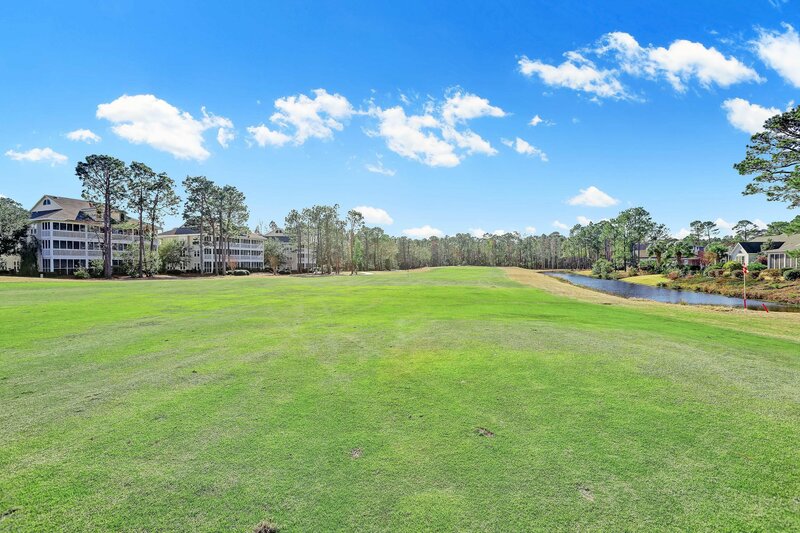 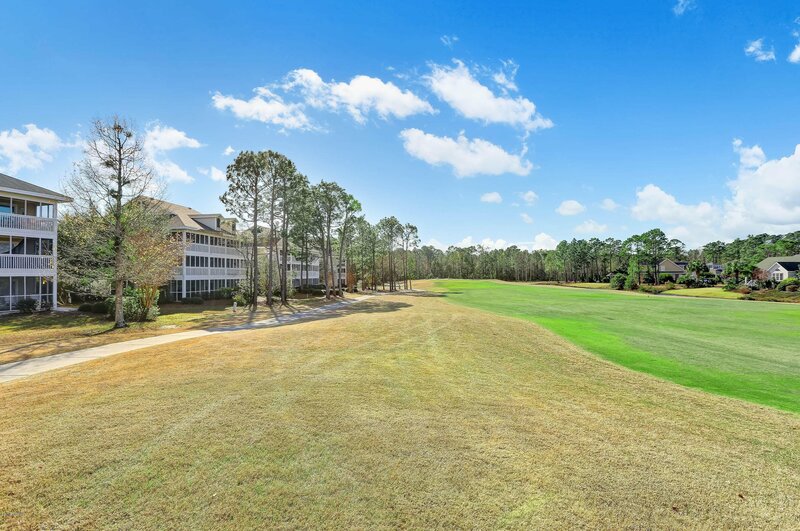 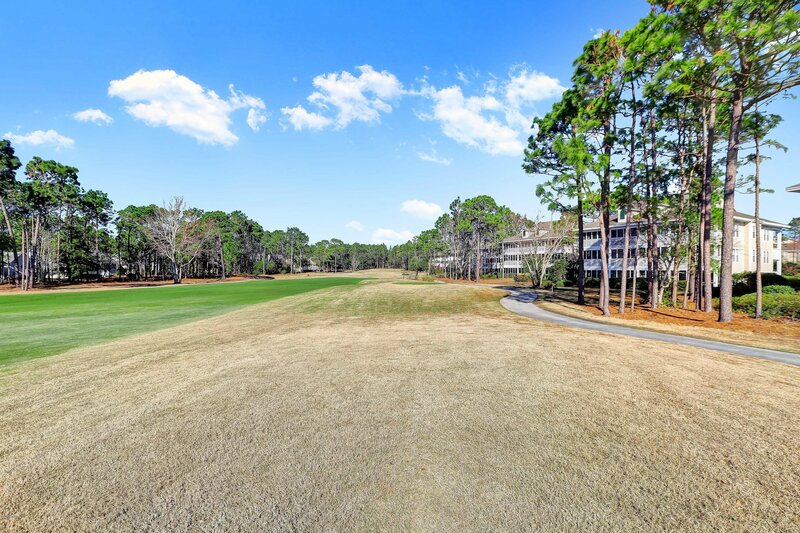 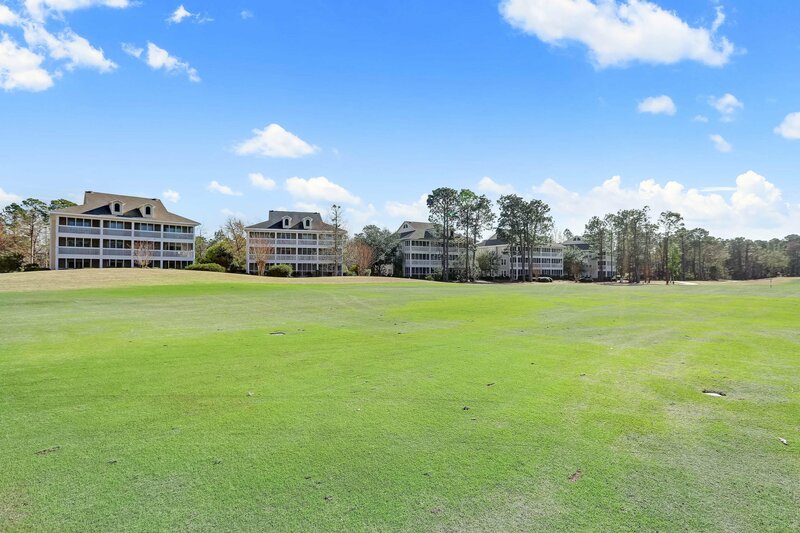 No stairs here and expansive golf course views of the Members Course in St. James Plantation. 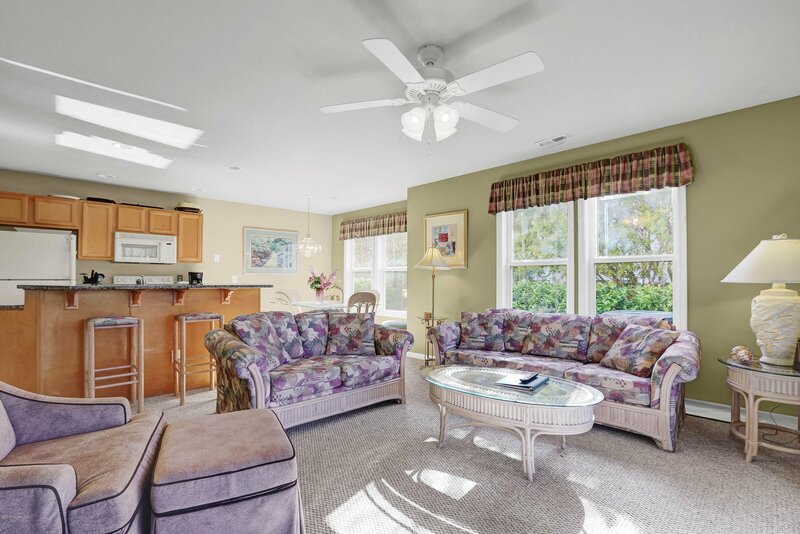 This ground floor fully furnished Club Villa is in pristine condition and ready to move in! 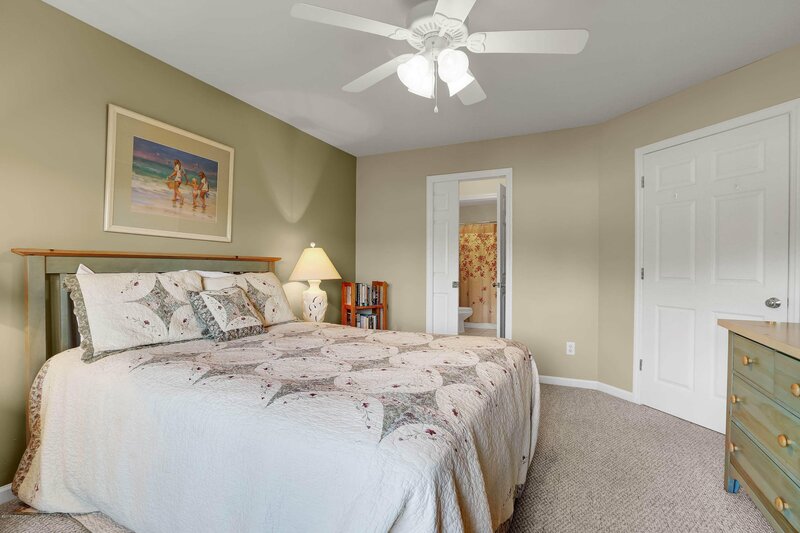 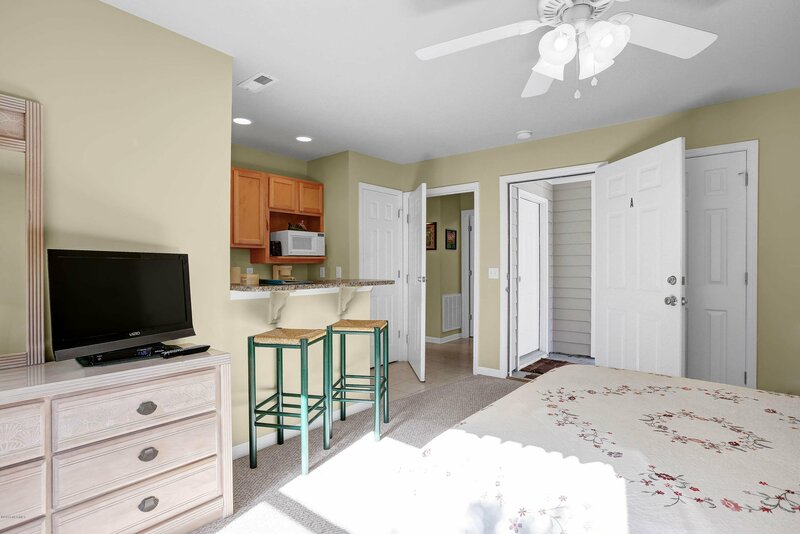 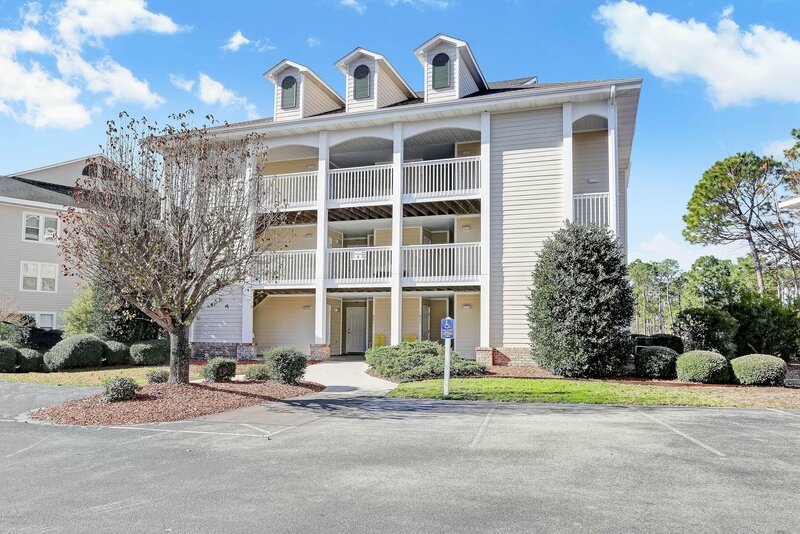 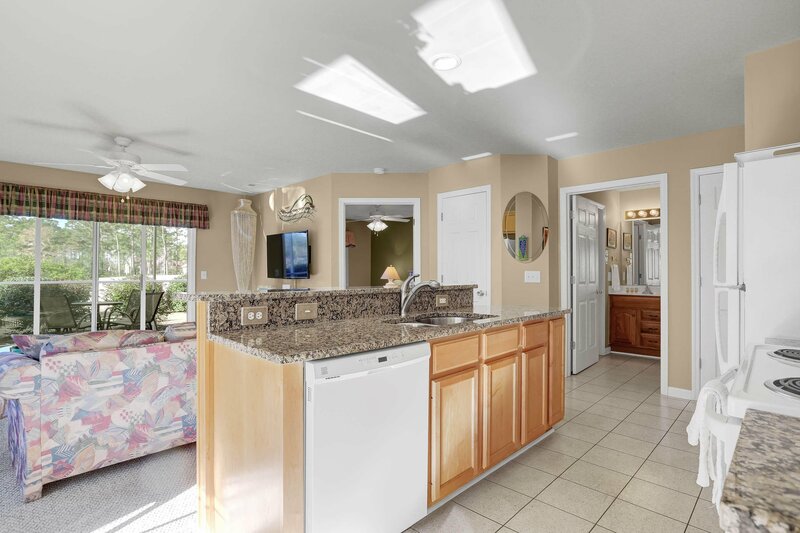 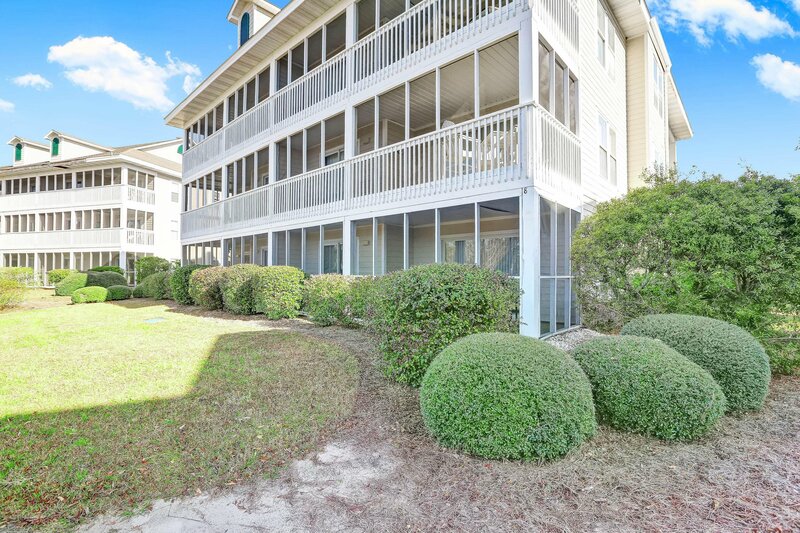 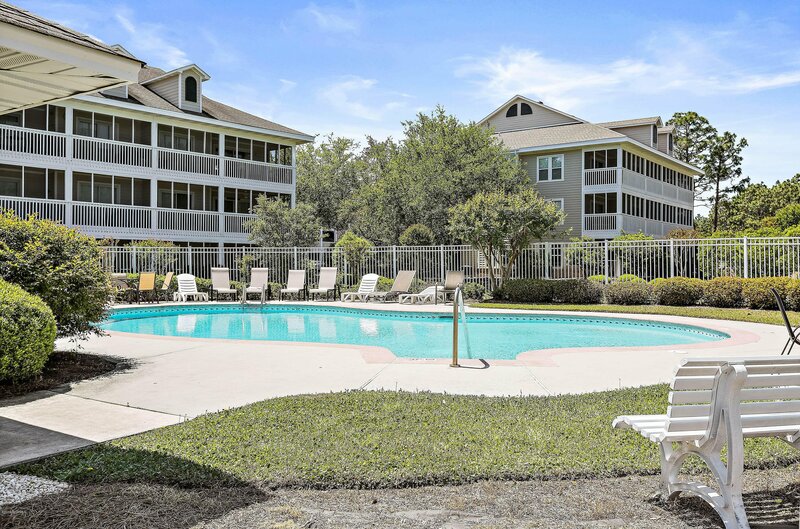 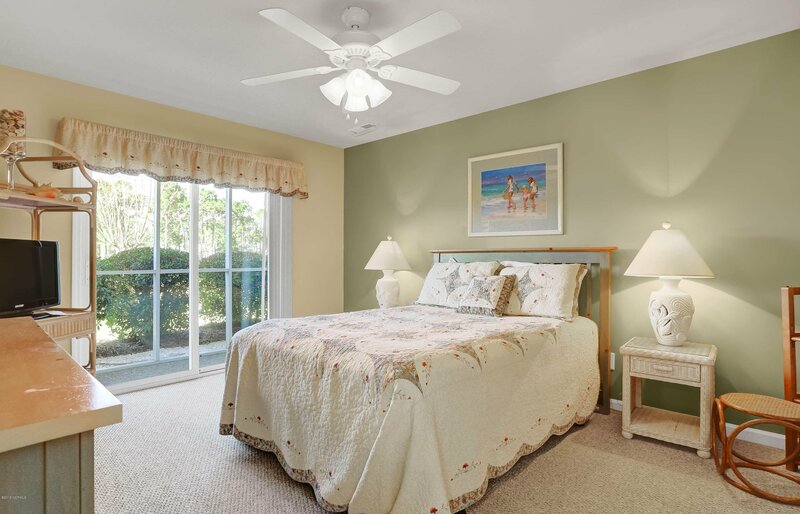 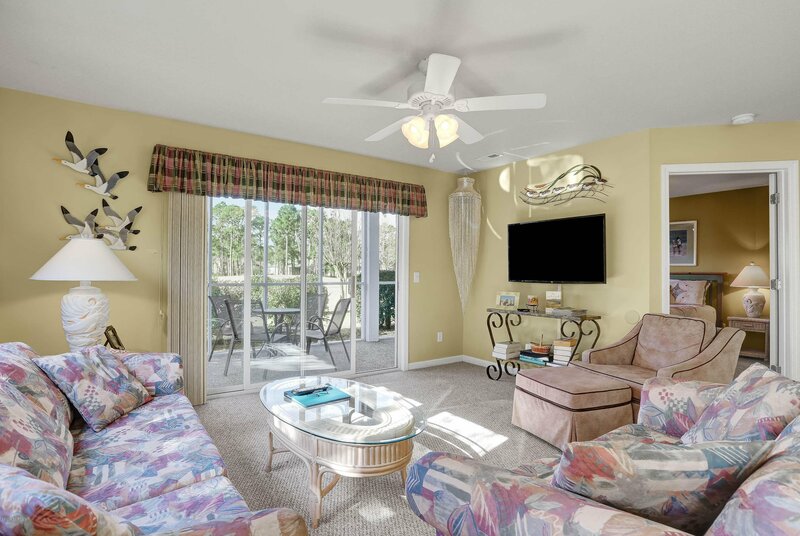 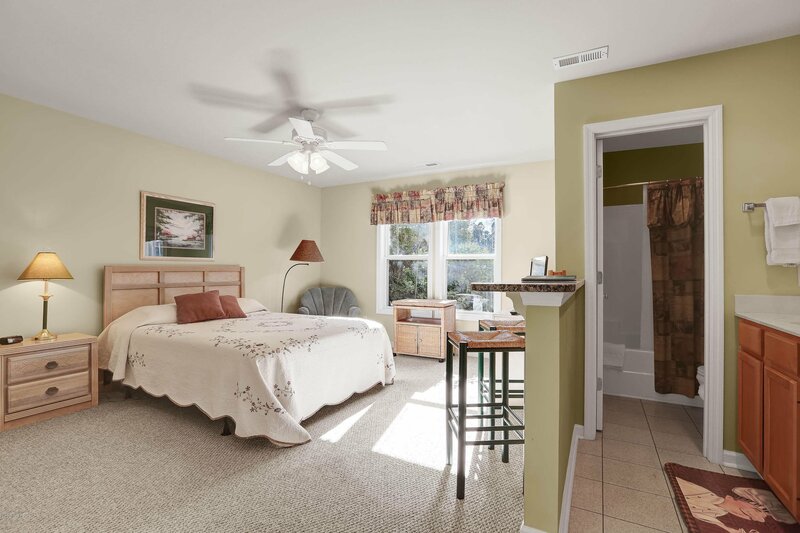 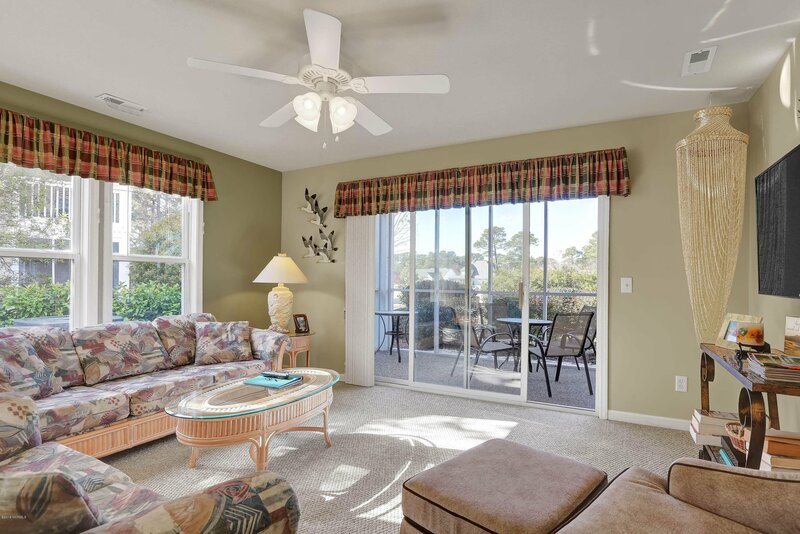 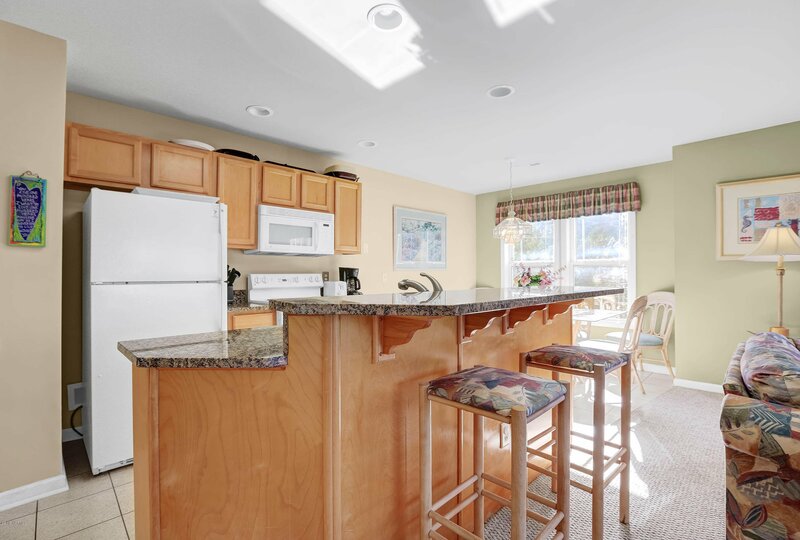 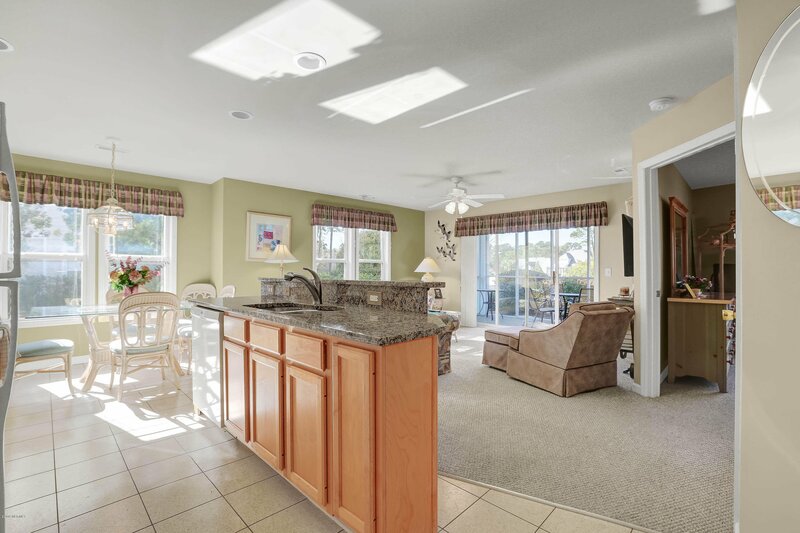 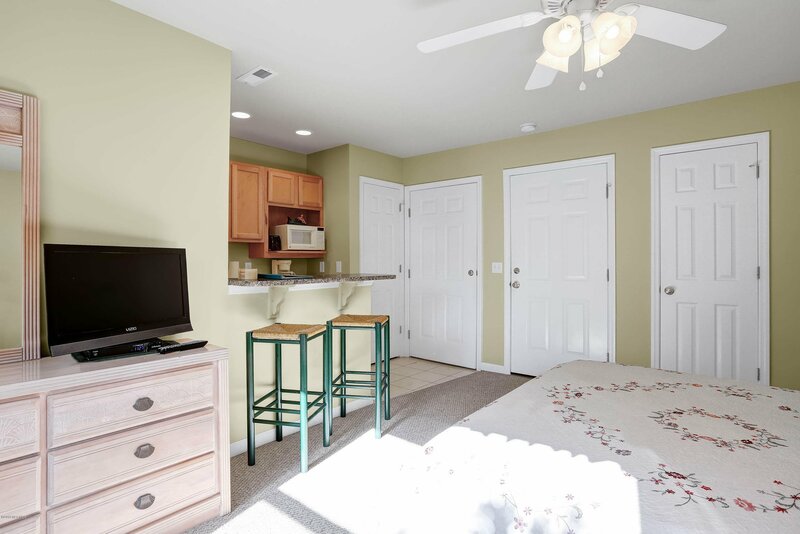 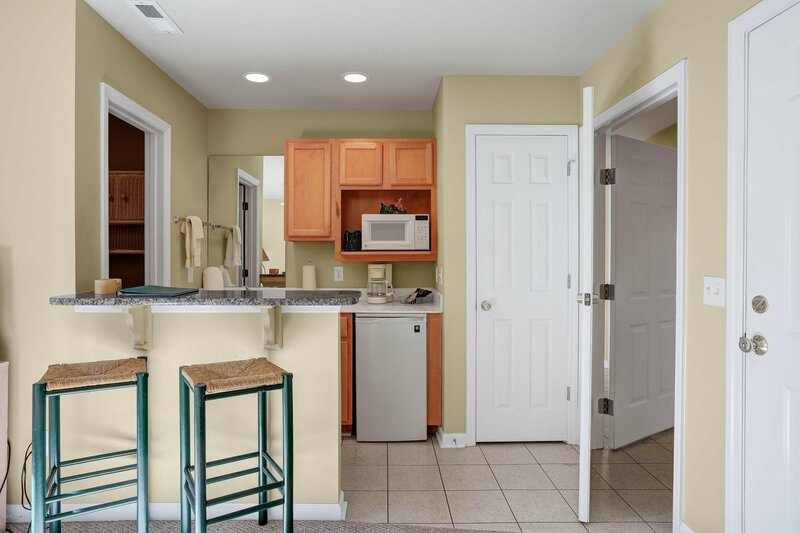 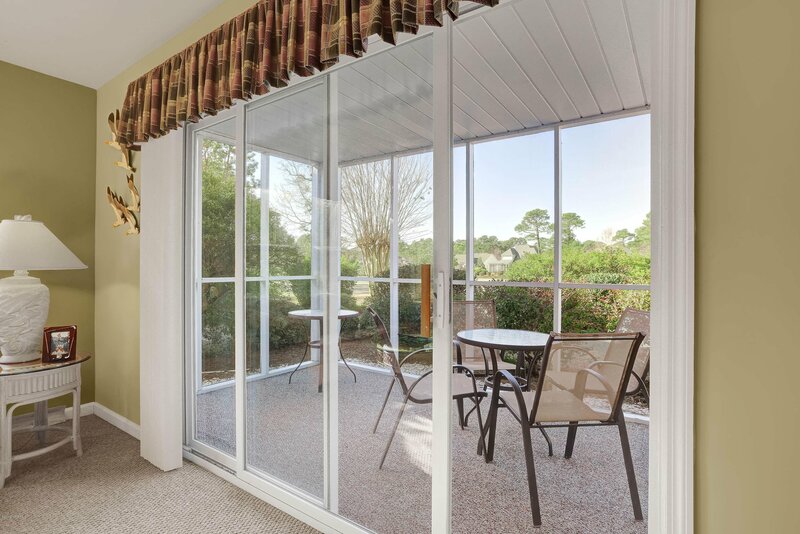 The open and accommodating floor plan is perfect for a full-time residence or second home golf/beach getaway. 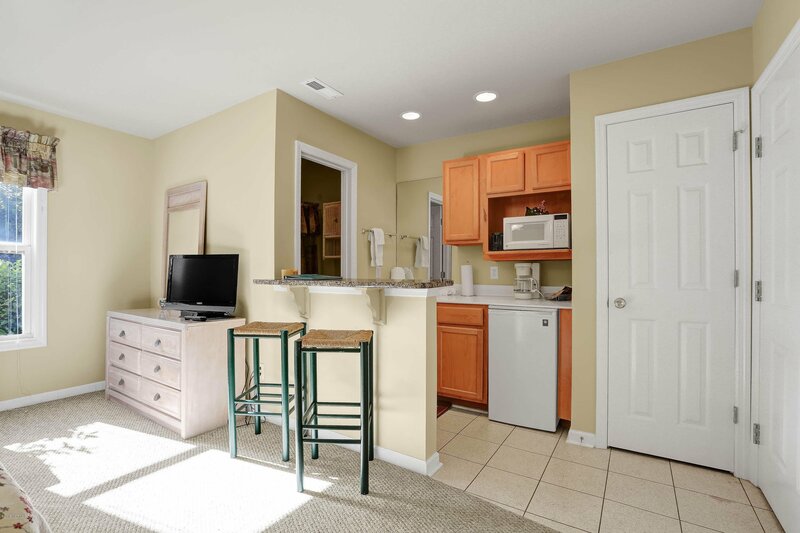 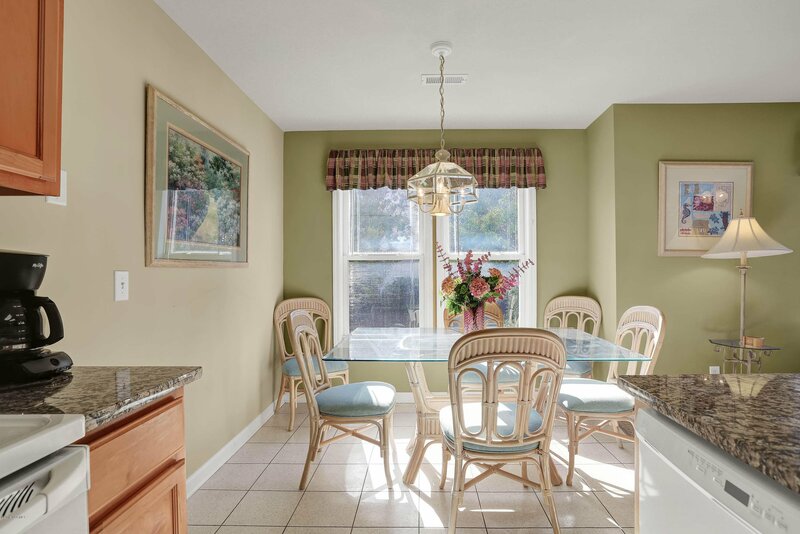 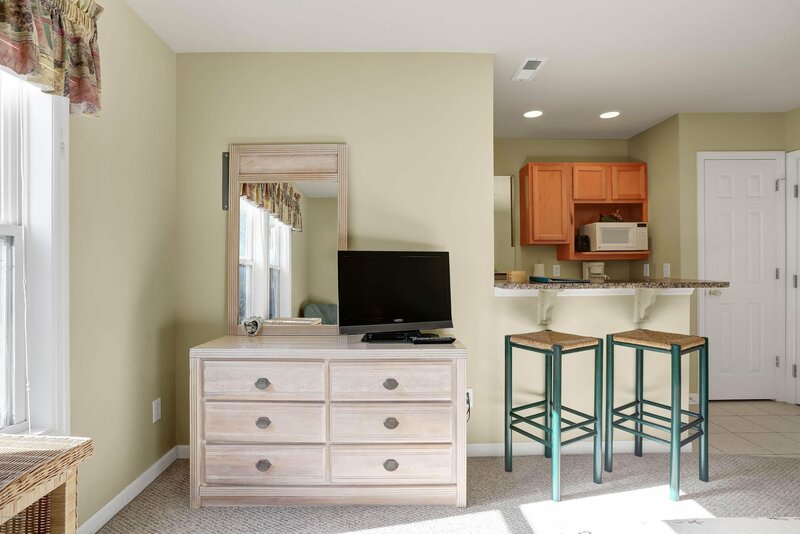 Upgrades include granite counter tops in the kitchen, upgraded furniture and granite in the second bedroom efficiency suite. 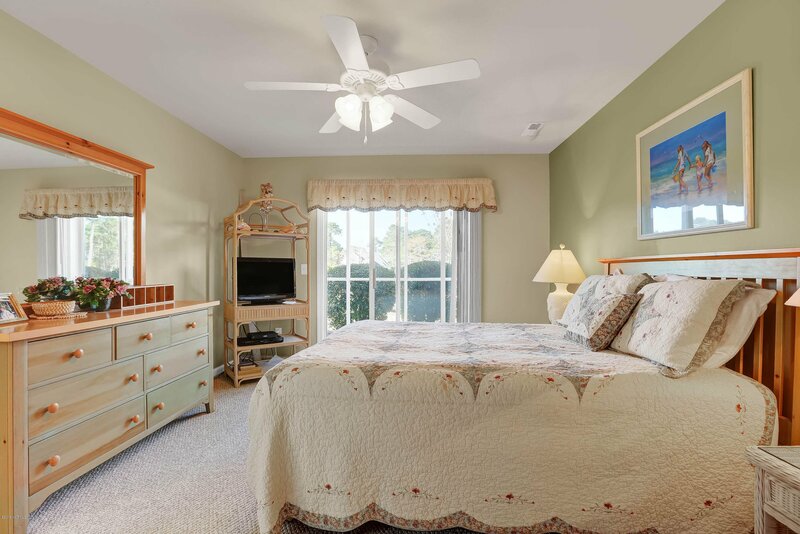 The unique layout enables the second bedroom with its own mini-kitchen to be closed off from the main portion of the villa. 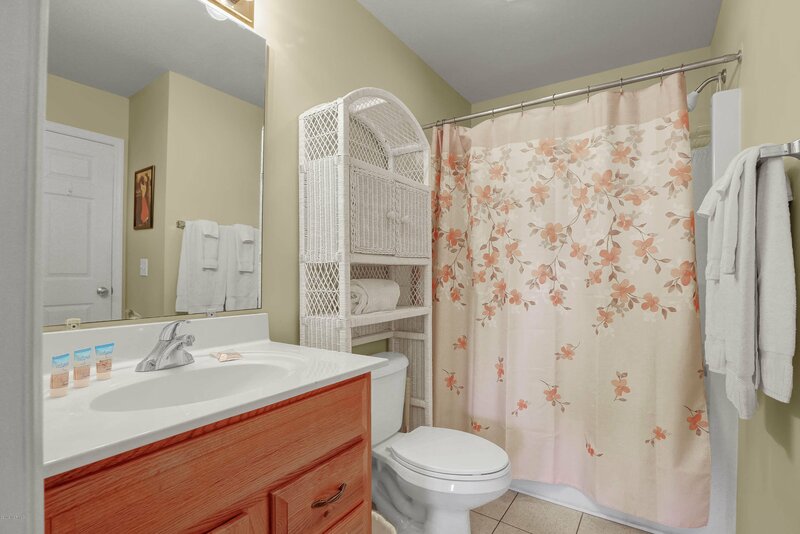 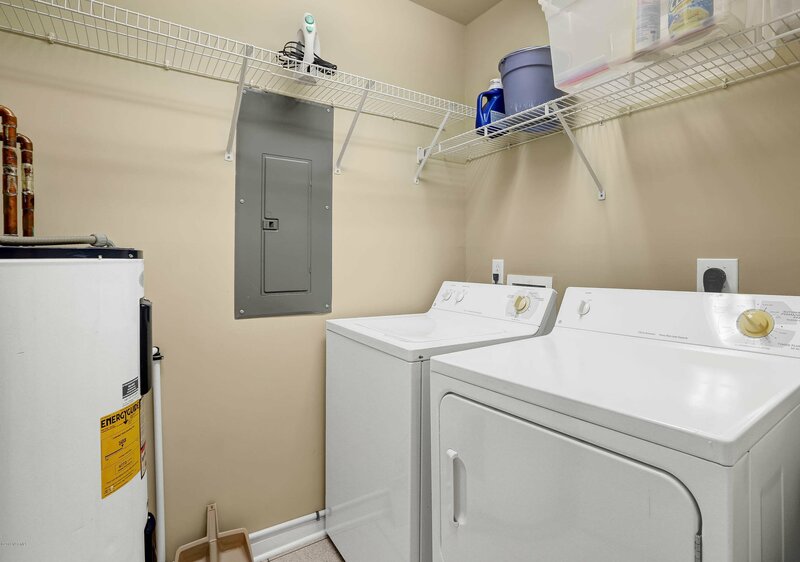 This functionality is wonderful for privacy between guests and rental income potential. 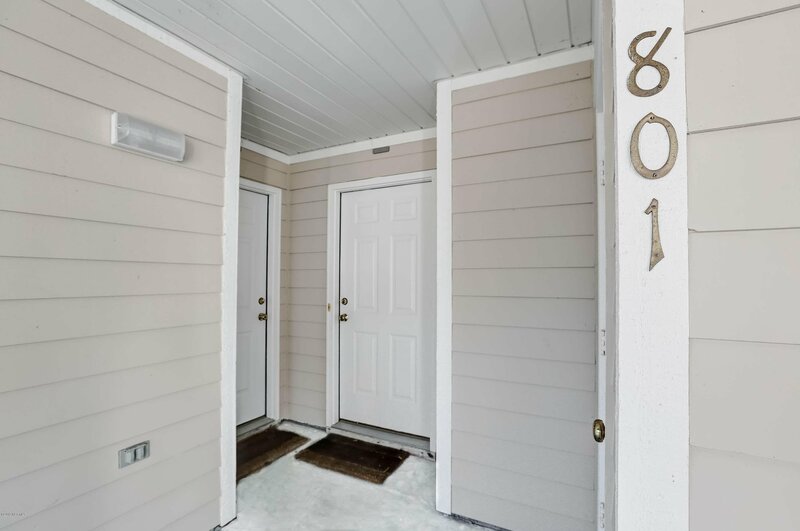 If you prefer ground floor condo living with no stairs to constantly climb in order to enjoy the St. James lifestyle; you have found it here!